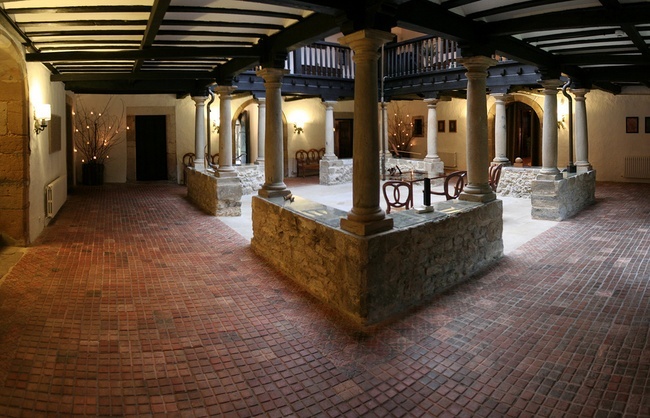 The Palace building is structured with four galleries built around a central square-shaped patio which opens onto the wooden hallway with Tuscan order columns, a space concept based on Renaissance traditions. This is reflected yet again in the way the galleries are arranged on the outside. There are two nuanced Baroque style towers framing the façade and central section. The central part has alternating blocks of stone and random square stone that have been left unrendered. The arcade motif emerges again on the bottom section, giving way to a wide entranceway where the main door meets with another side door. They are framed by a semi-circular arch and a few windows splayed towards the inside. 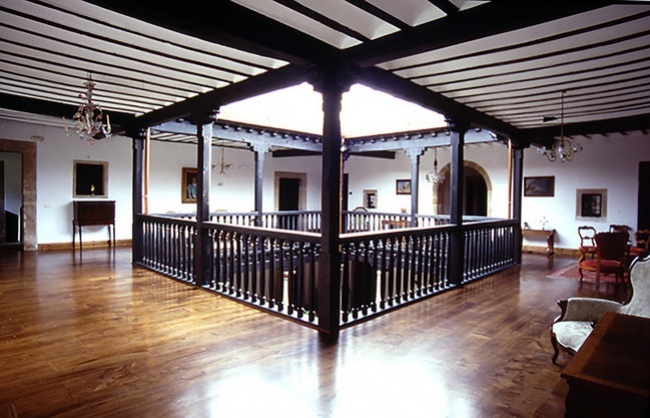 At this stage, we must highlight the work carried out by architect Joaquín Cores Uría and his brother interior decorator José Ramón Cores Uría, and nowadays their family, who have supervised and directed the restoration work throughout the last five decades. 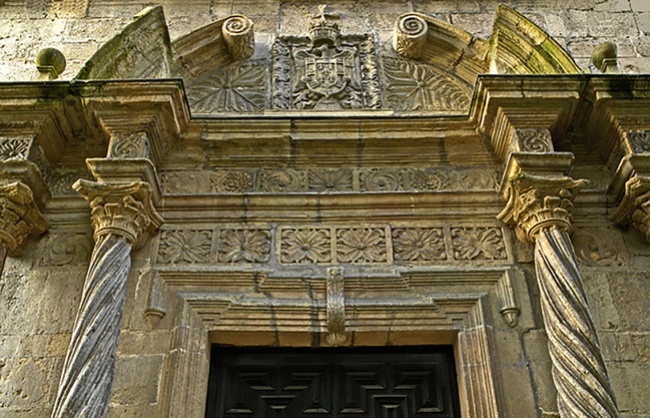 The Chapel of Santa Ana is one of the most outstanding examples they worked on in the XVIII century, starting in 1700 with the Palace of Meres which was dedicated to Santa Ana. Its construction was prompted by the Marquis of La Paranza. The formalities were overseen by his brother, the Abbot of Santa Maria Real of Arbás, Francisco Argüelles Meres. 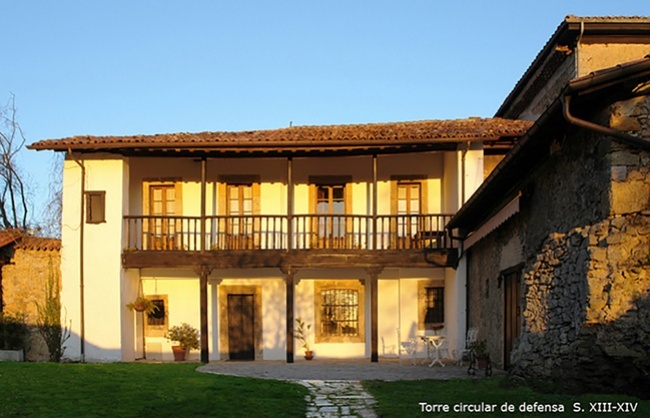 The work was contracted to architects: Pedro Fernández Lorenzano and Pablo de Cubas Caballos, and Miguel de Sierra. 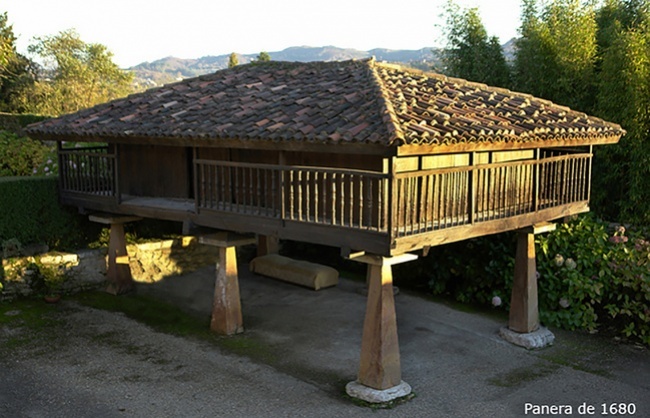 The first two are very well known for having taken part in the construction of significant buildings in the Principality of Asturias, and the latter was lesser-known during that period. 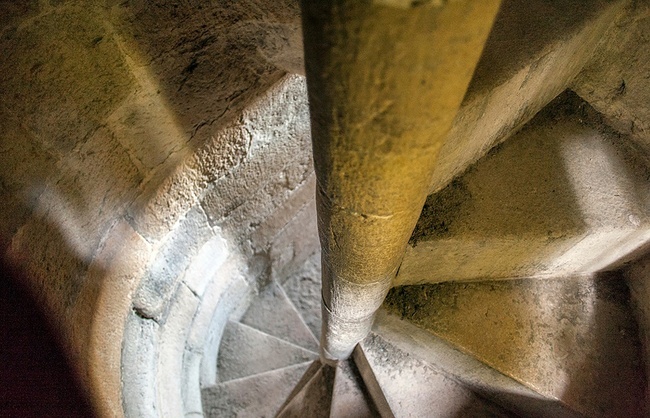 It was devised as a parish church although it was built alongside the palace and would immediately be joined to it via some rooms which would bring it into a direct line of communication with the upper part of the choir. The floor was sent from Madrid by the aforementioned Mr. Antonio and after it was reviewed by the architects the building plans were set out. As usual, matters of a purely construction value and materials to be used were the main topic of discussion, but they also agreed to use the Tuscan order, which was done, hollows were made in the foundations of the transept where the altarpieces would be placed and then others in the presbytery for sepulchres, a factor which was also respected. 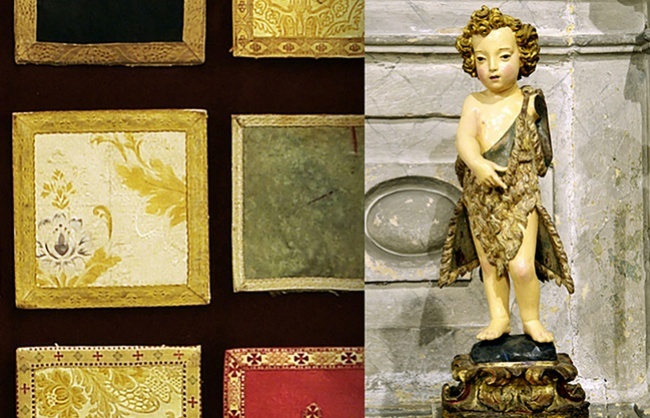 Two sacristies were made, one on either side of the main chapel) with a passage joining them and an upper area that was used as a shade (like the basilica of El Escorial). 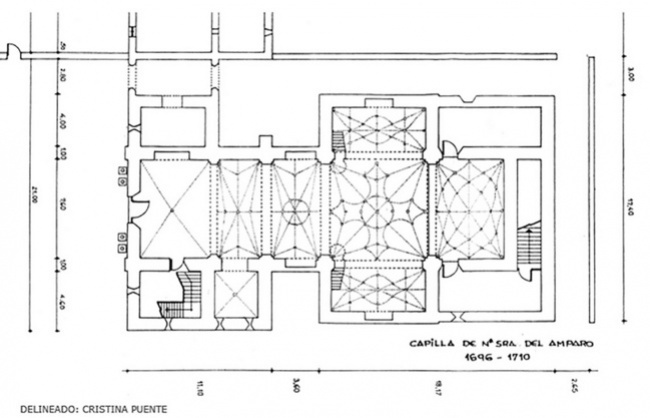 And lastly they wanted to cover the nave sections and transept with a cross vault and central section of the transept with a semi-circular dome (like in San Vicente de Oviedo, according to the written contract), which did not actually go ahead because complicated late Gothic compartments were used, an element which would become very fashionable in the first third of the XVII cent. 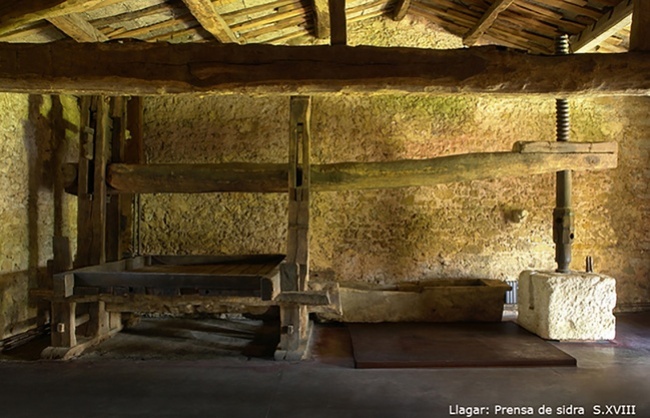 and also in Cantabria, the Basque Country, and as far as Asturias, Burgos and other northern areas. 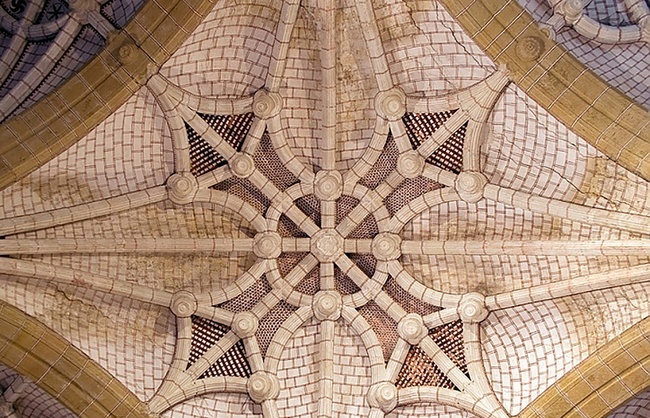 The reason behind the change in conditions is unknown, but the truth is that if they indeed used the church of San Vicente Oviedo (the Courts these days) as a model, they couldn't follow the details of the written contract given that the church of Oviedo does not have a semi-circular dome in the centre of the transept, but rather a barrel vault and it does not have an arris in its nave and transept sections, but rather a barrel vault with lunettes. 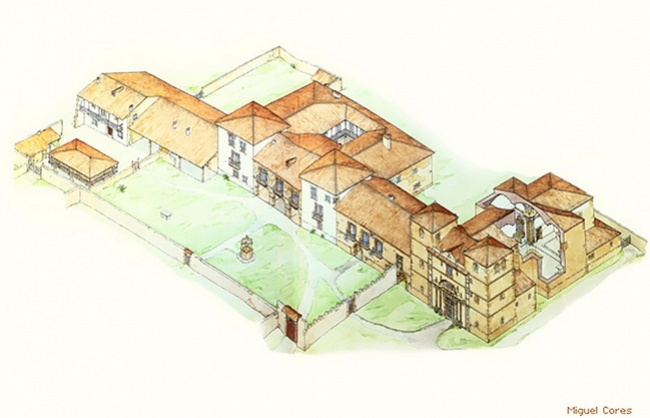 In doing this they achieved an attractive, wide and solid building based on a stonework façade with a door flanked by double columns and square-shaped robust towers on either end which seem to want to replace the non-existent ones in the Palace. 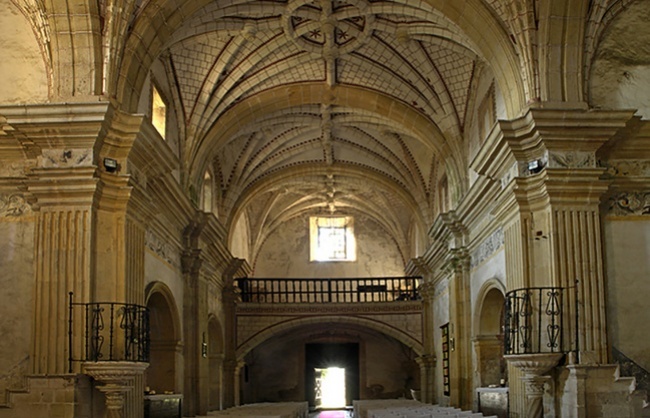 The original XVI century floor should have chapels at either side of the central nave, as mentioned in the written contract, however, they had to be abolished, from the epistle alone, and be roofed with simple cross vaulting, which makes us think of pre-existing medieval elements, perhaps the first chapel of the XV cent. palace, which is indeed well positioned, something that did not occur with the main chapel of the newly constructed church. On the outside, there is a huge baroque-style entrance door where the main feature is two Corinthian columns sitting on a plinth with engraved moulding and wings. A frieze adorned with plants, and striking entablature and cornicing complete the ensemble, and it is finished off with a curved pediment, in addition to pinnacles and balls.